I was in a bad car accident on Highway 121 and hurt my neck, back, and head. My doctor is concerned about brain damage and wants to monitor me, but the insurance adjuster is offering me a settlement already. Should I take it? This is a tactic we see from insurance adjusters a lot. They know that you are still having your injuries monitored and diagnosed, but they try to reach a fast settlement with you anyway. Although the settlement offer might seem fair—even generous—you should not accept it yet. You don’t know the full extent of your injuries. Some injuries worsen over time. Your back and neck injuries might not appear to be too bad now, but they can come back to haunt you if they worsen. Waiting until your doctor has made a full diagnosis of your injuries is important so you know how extensive the treatment will be for you to make a full recovery. You might not know about other injuries. Brain damage is very difficult to diagnose. Often symptoms don’t appear for weeks or months after an injury. The symptoms are usually subtle, so you might not know that you have a brain injury until long after the accident. You cannot reopen your case once you settle. The insurance adjuster knows that you’re unable to reopen your settlement. If he is worried that the amount you deserve will continue to increase, he is likely to try to close your case early by offering you a settlement before you’re ready. If you find out that your injuries are costing more than your settlement was worth, you’ll be responsible for paying for them out of your own pocket once the settlement is finalized. Insurance adjusters are very tricky. 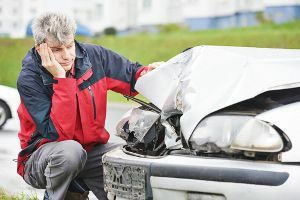 To avoid falling victim to their games, we encourage you to work with a car accident lawyer in Augusta whom you trust. With a lawyer on your side, you can understand the types of tactics insurance adjusters use to pay you less than you deserve. Call us today to schedule your appointment and learn more about how we can help you get a fair settlement out of your case.